With the Tour de France taking place over the course of this month, South-African based Dimension Data has partnered with the event to make it as high tech as possible. 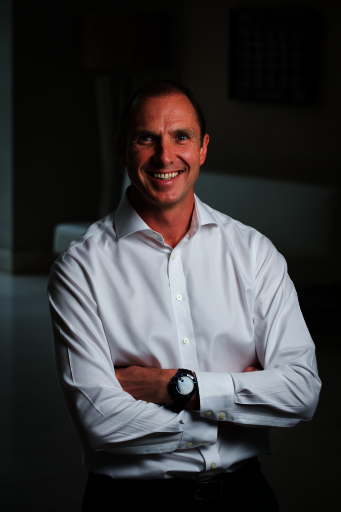 Adam Foster, Dimension Data’s group executive of sports practice. Analytics have become ubiquitous throughout professional sports, and by signing a five-year deal with the Amaury Sport Organization (ASO), Dimension Data hopes to help engage new fans and enhance the spectator experience. Every single rider in the competition is now equipped with a sensor on their bike that transmits raw data including individual speed and position at all times, composition of groups, information about the weather, and how steep a grade they’re biking on. Now in its second year of the partnership, Dimension Data has increased the transmission capabilities of the bike sensors by tenfold, and introduced weather and gradient information. Last year, Foster noted that the under 35 fan base for the Tour de France went up by six points, while video content consumption had a 300 per cent increase. He explained that this was considered very significant by the ASO. Younger demographics are known for their love of multiple screens, and Dimension Data analytics aim to cater to that. By providing information through a variety of channels, users can be engaged online while watching a broadcast of the event. Race Center consolidates all of the commentary and visuals that ASO publishes through various social media channels and brings it into one place. Dimension Data currently manages the Race Center interface. While it’s equally responsible for the data of all riders, Dimension Data be rooting for the stats to show that its own team shows a winning result when the race finishes in Paris on July 24.